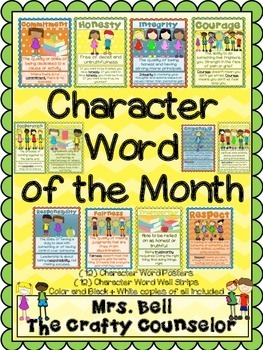 12 Color Copies of Character Word of The Month Posters (includes word, definition, and use in a sentence/motivational phrase). 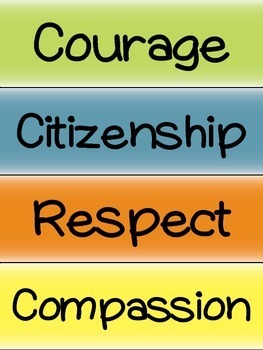 12 Character Word of The Month Strips that can be used to create a word wall. 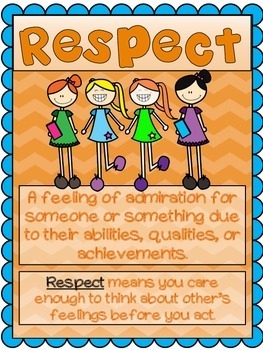 Character Word of the Month is licensed under a Creative Commons Attribution-NonCommercial-NoDerivatives 4.0 International License.